When you have been in an accident with a commercial semi-truck, you can be sure that the trucking company has a lot of the information you will need to support your accident claim. While Federal Motor Carrier Safety Administration (FMCSA) rules require the trucking company to keep certain safety information for a period of months or years, these rules may not require the trucking company to keep all of the information you will need. Additionally, trucking companies may not be required to keep the information for a long enough time to protect your rights, and some trucking companies may not strictly comply with the applicable regulations. This can be frustrating and concerning. You need to get the information before the truck company destroys it so that you can prove what happened in your crash and so that you can make the fair truck accident recovery that you deserve. A preservation of evidence letter, also known as a spoliation letter or a preservation letter, needs to be sent to the trucking company as soon as possible after your accident. Once the trucking company receives this letter, the company is put on notice that it can not destroy evidence that you expect could be relevant to your claim. Some of the pieces of evidence you may include in your preservation letter are relevant to the truck, some are relevant to the trucker, and some are relevant to the trucking company. An attorney can take the decision-making stress off your shoulders and make sure your fair recovery is protected while you concentrate on your physical healing. One of the ways your truck accident attorney will protect your rights is to make sure that all relevant evidence is preserved by drafting and sending a preservation of evidence letter, as discussed above. The letter will be comprehensive to protect your rights, and it will very clearly put the trucking company on notice so that no evidence is destroyed. However, that’s not all a truck accident lawyer can do for you. A truck accident lawyer can also analyze all of the evidence that comes from the trucking company and other sources to figure out what caused your truck accident injuries and to hold the right parties accountable for their negligence. Start protecting your rights today by calling the experienced truck accident legal team at Gray and White Law for a free, no-obligation consultation. 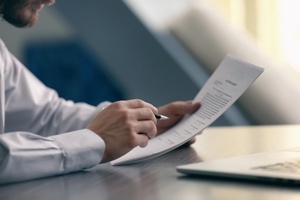 We would be happy to review your case, and, if you decide to hire us, then we can talk about whether a preservation of evidence letter is important to your fair and just legal recovery. Call us or reach out to us via this website at any time to learn more.